Italy became the fifth country to tell a North Korean ambassador that he had to leave. “We want to impress on Pyongyang that isolation is inevitable if they don’t change tack,” said Italian Foreign Minister Angelino Alfano, via Reuters. 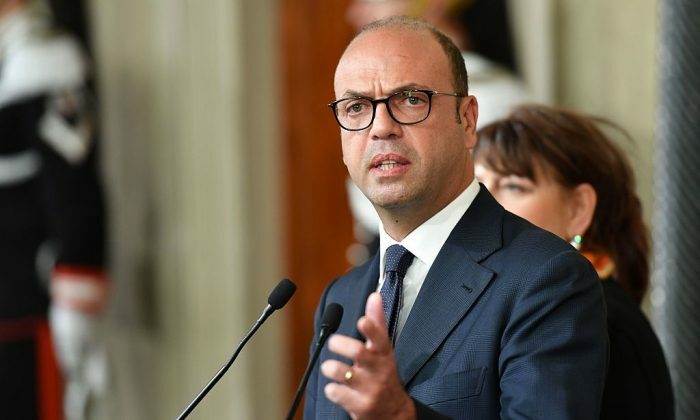 The article also mentions that Alfano told Italian newspaper La Repubblica that Italy will not totally severe ties with the North Korean regime, if just to maintain a channel of communication. Spain, Mexico, Peru, Kuwait, and now Italy have expelled North Korean ambassadors in light of North Korea’s ramping up its tests of nuclear weapons and ballistic missiles. The United States has urged countries to at least scale back, if not totally end, relations with North Korea. North Korean officials claimed that and a later statement by the president were declarations of war. They threatened to test a hydrogen bomb over the Pacific, among less specific but no less bombastic threats. Countries are expelling North Korean diplomats to send a message that they do not support the regime and to isolate them politically. Increasing sanctions from the United Nations are also limiting North Korea’s resources. The latest round of sanctions were approved on Sept. 11. According to Reuters, the total impact from successive sanctions on North Korea has made 90 percent of the country’s $2.7 billion publicly reported exports illegal. But North Korea doesn’t always pay attention to sanctions or other restrictions. The regime has been selling weapons illegally, which often wind up in the hands of terrorists, Newser reported. Yesterday Trump tweeted about how the efforts of previous U.S. presidential administrations have not succeeded in dealing with North Korea, but pledges that he will do better. He also tweeted that he told Secretary of State Rex Tillerson that he is wasting time trying to negotiate with Kim Jong Un.